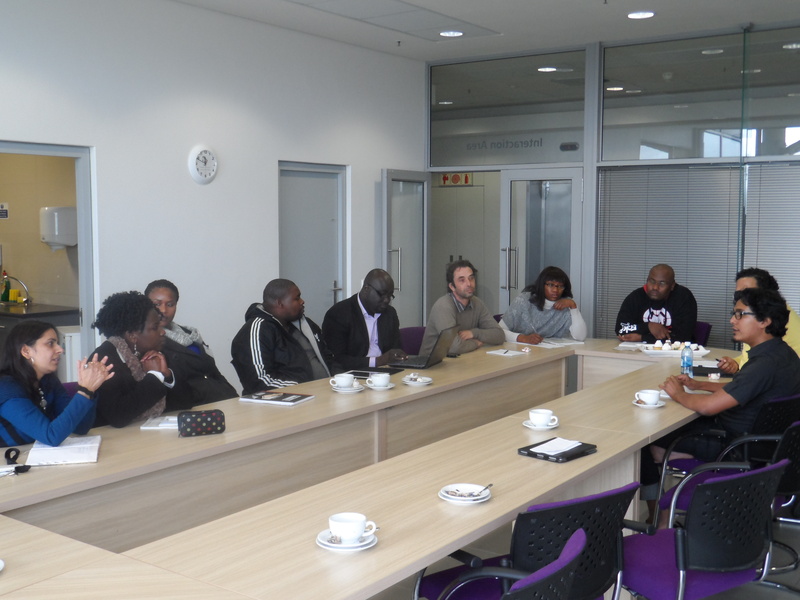 Two DST-sponsored Proteomics Workshops were held in Cape Town and Pretoria recently. 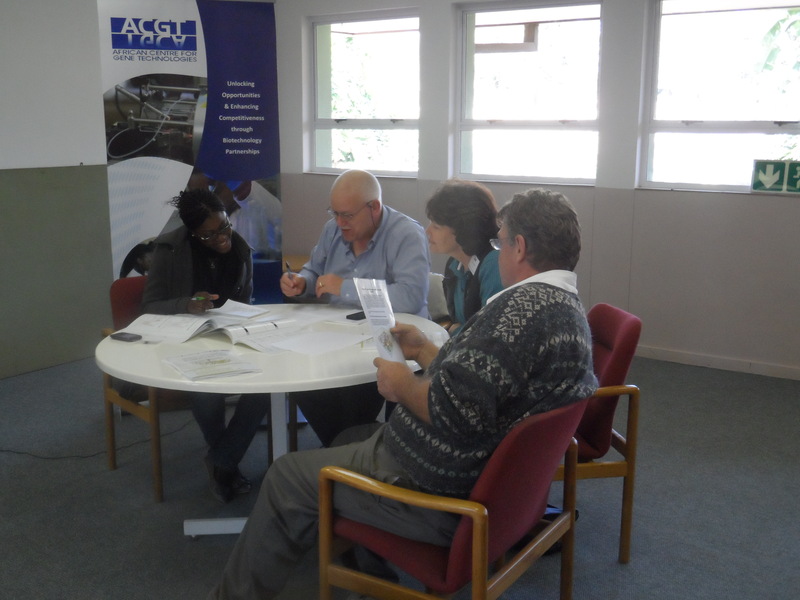 The workshops were organised by ACGT, in conjunction with UWC/ARC and CSIR/UP, respectively. 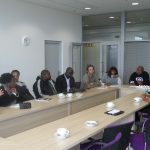 The workshops had the same programme; which included two days of lecturing and an experimental design consideration session, at which participants had to brainstorm different options for a given biological question. The solution had to be answered by a proteomics approach. The third day was set aside for round table discussions, whereby attendees could discuss their projects with experts in the field. The topics included experimental design, sample preparation and quantitation. This afforded course attendees the opportunity to discuss their own research projects and any considerations that may impact the outcome thereof. The workshops were facilitated by Professor Kathryn Lilley, of the Cambridge Centre for Proteomics, a world-leading scientist in the field. Dr Stoyan Stoychev, of CSIR Biosciences, also presented lectures on sample preparation considerations for proteomics. The courses were well attended by stakeholders from a variety of research-intensive institutions in South Africa; which included the ARC, CSIR, National Zoological Gardens, K-RITH; and the Universities of Cape Town, Stellenbosch, the Western Cape, Fort Hare, Johannesburg, Pretoria, Limpopo, South Africa, the Witwatersrand as well as Vaal University of Technology. 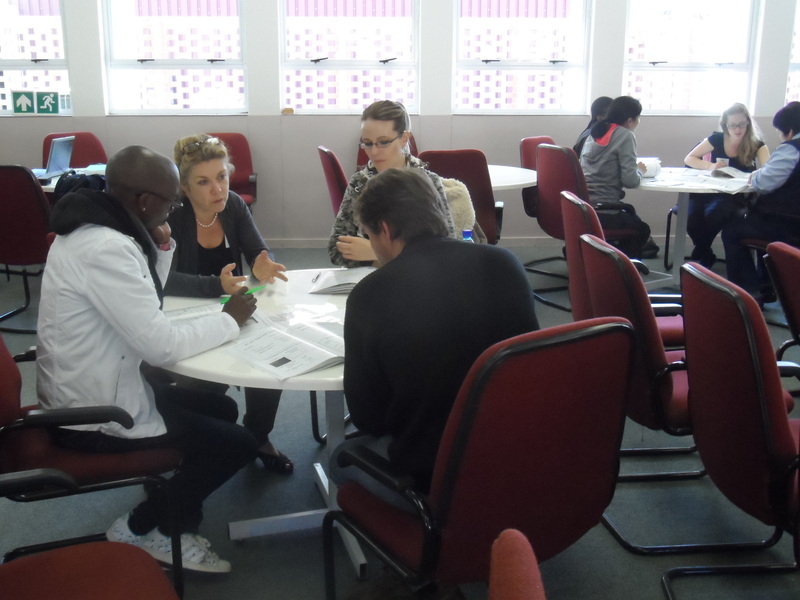 Extremely positive feedback from the delegates regarding the facilitator and course content was received. 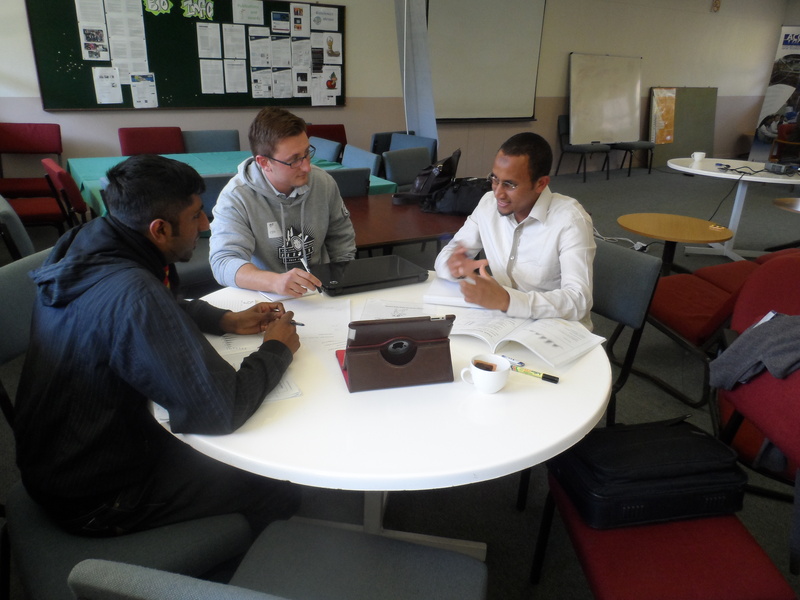 The round table discussions, a new addition to the workshop programme for 2013, was especially well received. The community has also initiated discussions around optimal usage of available proteomics expertise and equipment. Student mobility between institutions to access the appropriate proteomics hardware and expertise is high on the agenda of priorities to further research in this field. 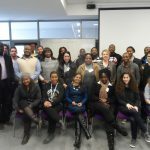 Another outcome of the workshops was the establishment of a Proteomics LinkedIn group (Proteomics SA). The planning for the next instalment of workshops for 2014 is currently underway. 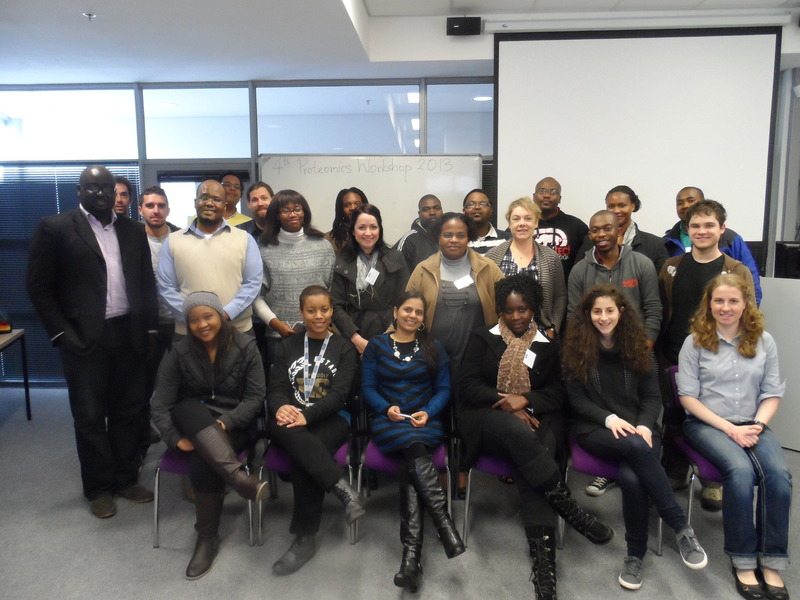 Attendees at the Cape Town Proteomics Workshop hosted by the University of the Western Cape. 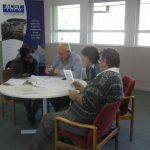 Workshop attendees at CSIR working hard on their group exercise. Group exercise session at the CSIR leg of the Proteomic Workshop.